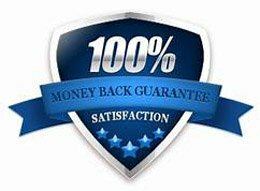 45 Day Unconditional Money Back Guarantee. On all Website Hosting Packages and on all VPS Hosting Packages No questions asked!! Are they really cost efficient? If within the time limit of sign-up for our services you decide that our services do not live up to your expectations, we will refund you the fees and if any the setup fees No long term contract - No Obligation required! The guarantee will not be extended to customers who have previously claimed under the guarantee as they will be deemed to have been given the opportunity to have sampled our services already. The guarantee covers the standard Web Hosting Services and VPS Hosting excluding Domain Name registrations. If a domain name was included in your hosting, we will continue to provide full DNS services and functionality for the registration period while the Domain is still with RSH Web Services or transfer the domain if requested. NOTE: Only first-time accounts are eligible for our money back guarantee. For example, if you've had an account with us before, canceled and signed up again, you will not be eligible for a refund, or if you have opened a second account with us You may cancel your account at any time by sending us an email. Or by filling out a "Contact RSH Web Services Form"
Thank You! The RSH Web Services Team!